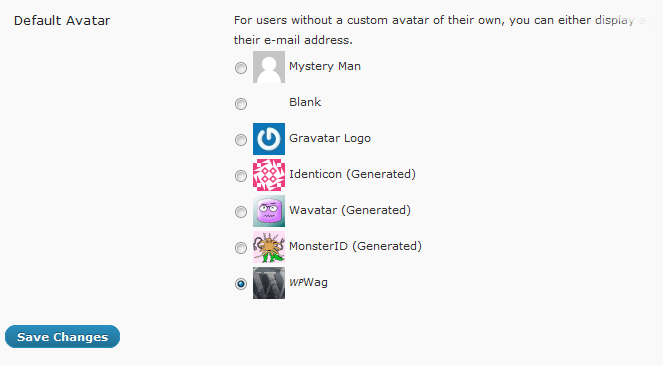 Notice on some site’s how they’ve got a different gravatar than the usual “mystery man”? Ever wonder how that is done? Well it’s really simple. That’s the whole function! I told you it was easy. Just be sure to add the correct filter. Let’s see your default gravatar’s!